Prominvestbank (PIB, Kyiv) will increase charter capital by 2.1 times, or UAH 20 billion, to UAH 39 billion by converting the loans granted by Vnesheconombank (the Russian Federation) to the subsidiary bank, PIB Board Chairman Viktor Bashkirov has said. "The plan as for increasing charter capital remains unchanged: the additional issue will be held within the period stipulated by the prospectus. Injection into the charter capital of the bank will be carried out by conversion into the capital of the loans issued to Prominvestbank by Vnesheconombank over the last five years. 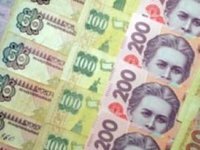 Capital increase will allow the bank to form additional reserves for bad loans, resulting from the deterioration of the economic situation in the country," he told Interfax-Ukraine. According to Bashkirov, capital increase is carried out in accordance with the results of the diagnostic examination of the top twenty largest banks in the country by the National Bank of Ukraine. As a result of capital increase, the share of Vnesheconombank in PIB's charter capital will grow to 99.70% from 99.39%. As reported, the charter capital of Prominvestbank for the first nine months of 2015 increased by 2.3 times, to UAH 19.009 billion, net worth was up by 4.3%, to UAH 6.264 billion.